German comedian Jan Boehmermann could be prosecuted for insulting Recep Tayyip Erdogan after the Turkish president filed a complaint. Jan Boehmermann had recited a satirical poem on television which made sexual references to Recep Tayyip Erdogan. Under German law, Chancellor Angela Merkel’s government had to approve a criminal inquiry. Angela Merkel stressed that the courts would have the final word, and it was now up to prosecutors to decide whether to press charges. The chancellor added that her government would move to repeal the controversial and little-used Article 103 of the penal code, which concerns insults against foreign heads of state, by 2018. Jan Boehmermann is a satirist and TV presenter well-known for pushing the boundaries of German humor. He was given police protection earlier this week. Some experts say the comedian has a strong defense against potential charges, because his poem could be seen as part of a wider piece of satire about free speech, rather than a deliberate insult. An earlier remark by Angela Merkel that the poem was “deliberately offensive” had led to accusations in Germany that she was not standing up for free speech. The poem was broadcast on ZDF TV two weeks ago. 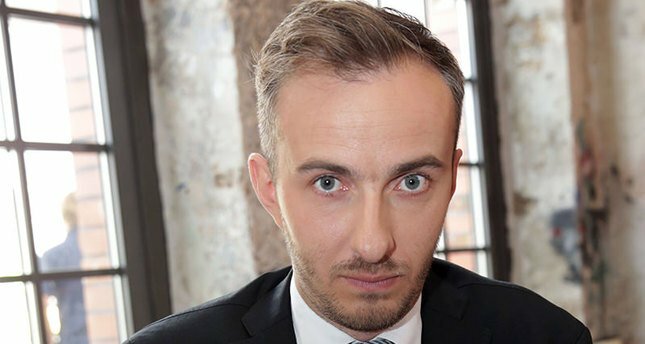 The public TV channel has decided not to broadcast Boehmermann’s weekly satire program this week because of the furor surrounding him. Before announcing that Jan Boehmermann could be prosecuted, Angela Merkel stressed her government expected Turkey to comply with EU democratic norms in the areas of free speech and judicial independence. “In a state under the rule of law, it is not a matter for the government but rather for state prosecutors and courts to weigh personal rights issues and other concerns affecting press and artistic freedom,” the chancellor said. “The presumption of innocence applies,” Angela Merkel added, explaining that she was not making any prejudgement about Jan Boehmermann. In her statement in Berlin, Angela Merkel said that the approval of the federal government was a legal precondition for the prosecution of this specific offence. “The foreign office, the justice ministry, the interior ministry and the chancellery took part in this review,” she said. Recep Tayyip Erdogan has drawn much criticism in Turkey and internationally for attacking opponents, including harassment of journalists. Many accuse him of authoritarian methods, stifling legitimate dissent and promoting an Islamist agenda. Some Germans worry that Angela Merkel is compromising on freedom of expression in order to ensure Turkey’s continued co-operation to stem the influx of refugees into the EU.